Cycle nature’s paradise in Europe! Nature lovers and birders take note! 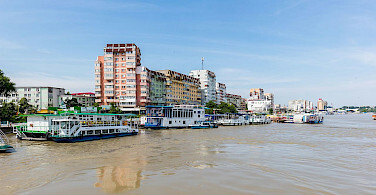 This combination cycling adventure by bike and boat meanders through the stunning beauty of Europe's last natural paradise, the Danube Delta to mile "0", where the mighty Danube River empties into the Black Sea. 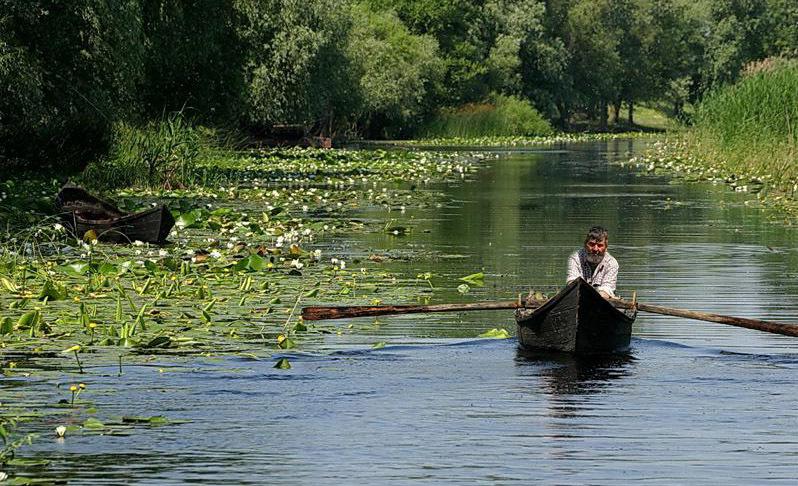 Through Romania’s Delta, the second largest and best preserved of Europe’s deltas, you will travel along canals with floating reed islands, lagoons, and lakes. The landscape alternates between gently rolling hills, swamp, and prairie land, and has amazed mankind with its diversity and beauty since the Romans, Greeks, and Dacians. 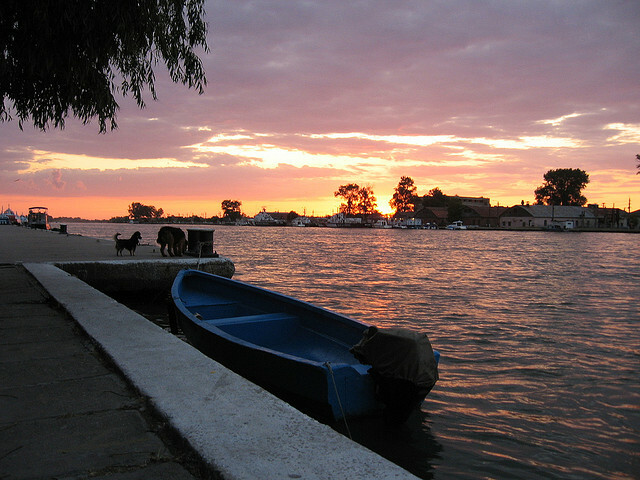 Life in the small fishing villages you will encounter along the way is tranquil; the solitude and silence of the almost impenetrable thicket is interrupted only by the calls of Dalmatian Pelicans, Cormorants and Egrets. Under expert guidance, you will discover the flora and fauna of this landscape, rich in history as well, and enjoy Romania hospitality and cuisine. 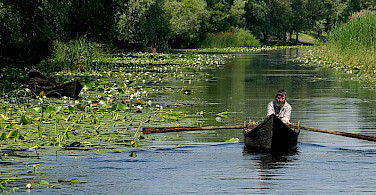 All of our bike boat tours in Romania can be found here. Interested in more? 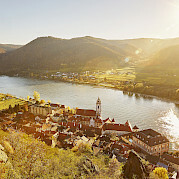 Check out all of our Danube Bicycle Tours. **price per car (1-3 people). Please book early as this tour has proven to be very, very popular. It is each traveler's responsibility to research your country's travel requirements and to insure that you are in compliance. This includes and is not limted to passport validity, blank visa pages required for your destination(s), and any other requirement. Non EU Citizens: Please research the requirements of your country of residency for international travel and the destination country. US citizens: A good website to research the requirements of the Schengen Agreement and other countries, and to read about passport validity requirements, visa requirements, as well as blank pages necessary for entry into each country is travel.state.gov. EU-citizens: (without special situations like dual citizenship, main residence abroad or a limited-validity passport) are required to have a valid passport or ID-card, not expiring within six (6) months from the end of your tour. 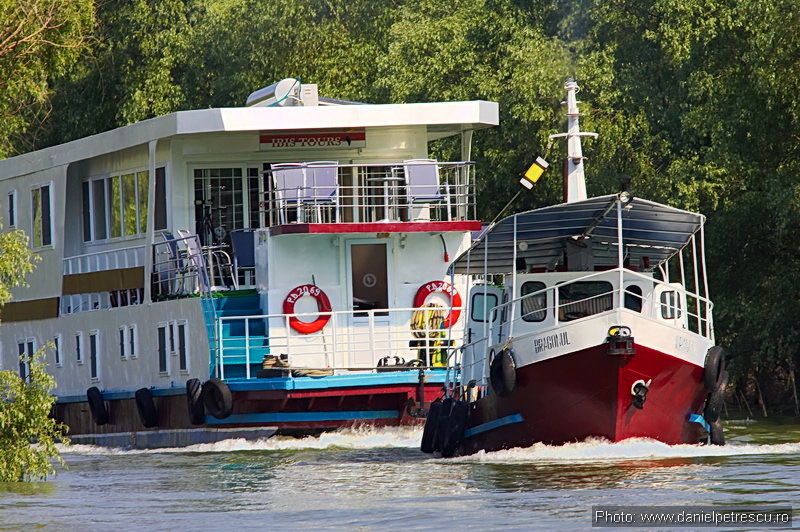 Comfortable and cozy hotel boat with restaurant (air conditioned) and spacious sundeck with deckchairs; cabins (9 m2) with private facilities for 5 nights. 2 nights in comfortable 4* Ibis Guest House Tulcea. Extra nights possible in Tulcea 4 star guesthouse and in 4 star facility in Bucharest. Please see pricing. 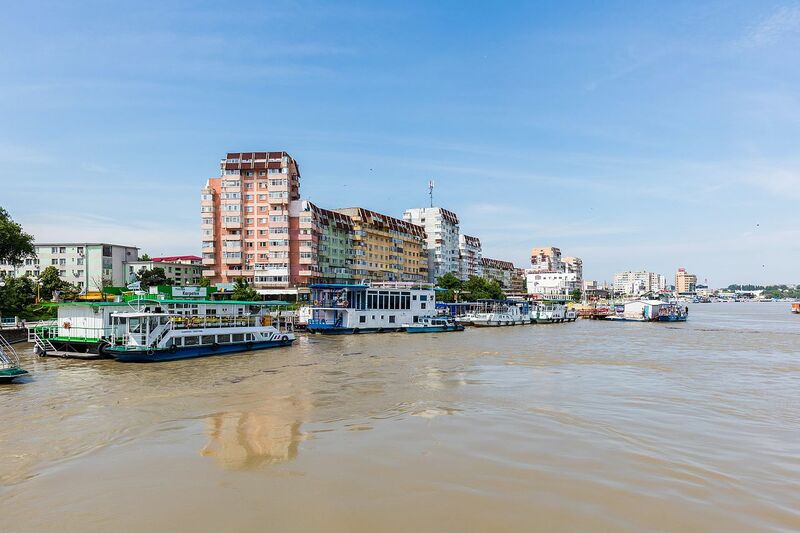 This is a guided, combined hotel and bike and boat tour on sand, gravel, or asphalt roads that require experience on the bike. However, daily mileage is not excessive and some stretches are completed by bus or boat. The landscape has rolling hills with some traffic. Individual arrival to Bucharest Airport and bus transfer at 2 pm (approx. 4 hrs) into the Danube Delta to Tulcea. Embarkation, dinner and overnight stay. Cycling along the most southern Danube arm through the nature reserve Bestepe Hills, which means five hills, you will forget the ascents when you experience the views into the heart of the Danube Delta. At the small fishing village, Murighiol, you arrive on board by a maze of channels, floating islands, dense forests, and pure wilderness experience. The village is home to the ruined Roman city of Halmyris, one of the most important ancient sites in Romania and though the work of uncovering and preserving has begun, much of the ruins remain unexcavated, providing the opportunity to see an ancient city still in the process of being uncovered. Overnight on board the boat hotel. 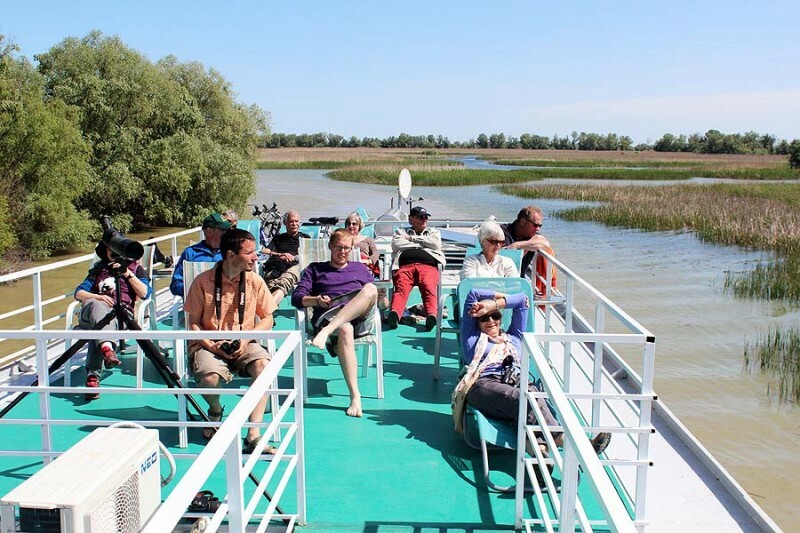 The route today begins on a bumpy gravel path – on the right, the wide open of the Black Sea, on the left, the lush green reeds and marsh land into the loneliness and solitude of the Danube Delta. 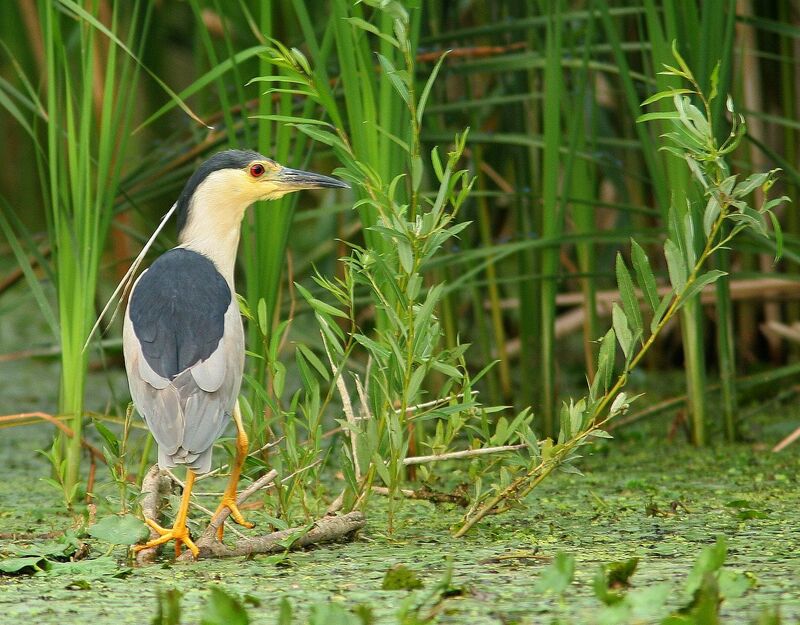 Cormorants and Great White Egrets are common sightings. 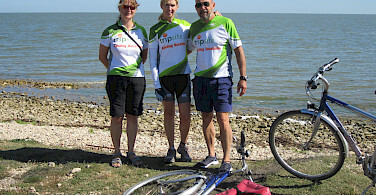 Mile “0” is at Sulina: the Danube has reached its destination! This port town was mentioned for the first time more than 1,000 years ago under the name of Selina in a work written by Byzantine Emperor Constantine Porphyrogenetes. It once bustled with traders from Europe and the Middle East, adventurers and sea pirates. The 60-foot-tall lighthouse, located in the north of the town, was built in 1802 and restored in 1870. It is here that the long journey of this mighty river starts to meld with the salt of the sea. Overnight on board the boat hotel. Through the bird's paradise of Musura Bay, the route leads on natural streets to the picturesque village Letea, forgotten by time. In this village, the houses made of reed and loam, painted a lovely blue, in which all about pervades a deep and contemplative silence. Nearby, with trees more than 500 years old, is the Letea Reserve. Oak, black poplar, elm, ash, and thorny shrubs are smothered in the tropical creeper named periploca, a Mediterranean plant with reddish-brown bark and simple, glossy leaves, giving the Letea Forest its tropical look. Here, you also may encounter black-bellied foxes, wild horses, boars, falcons and white-tailed eagles. The surrounding sand dunes are home to tortoises and lizards. 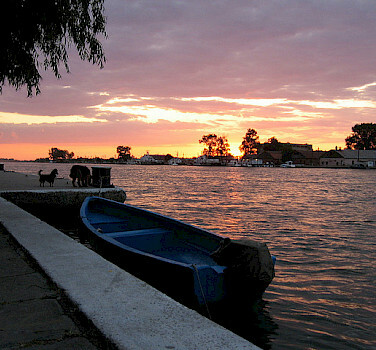 Next, the fishing village of Crisan with a few houses spreading over the right bank of Sulina and a fishery on the other bank, will be reached by boat. Overnight on board the boat hotel. 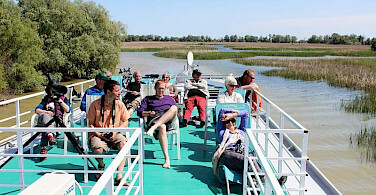 During a boat ride through a labyrinth of narrow waterways, you will pass by small fishing villages and again experience very intensively the incredible diversity of the Fauna and Flora of the UNESCO World Heritage Danube Delta, comprised of an intricate network of waterways and lakes. The area of floating reed islands, forests, pastures, and sand dunes covers 3,000 square miles and is home to a vast array of wildlife. 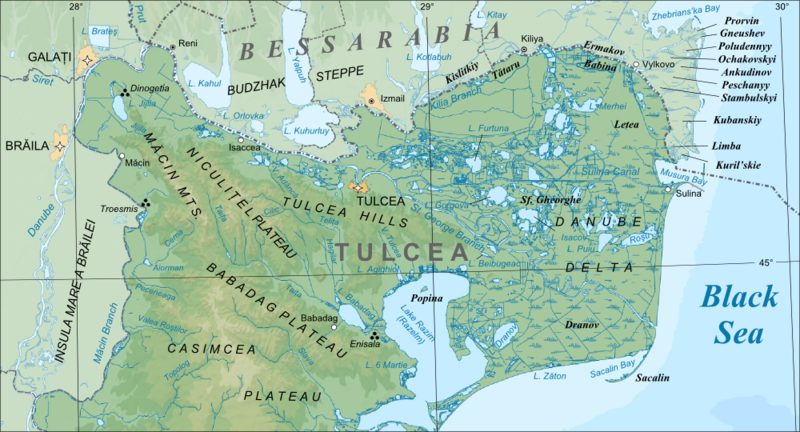 In the afternoon you return from this surreal dream world to the vibrant town life of Tulcea. Overnight on board the boat hotel. 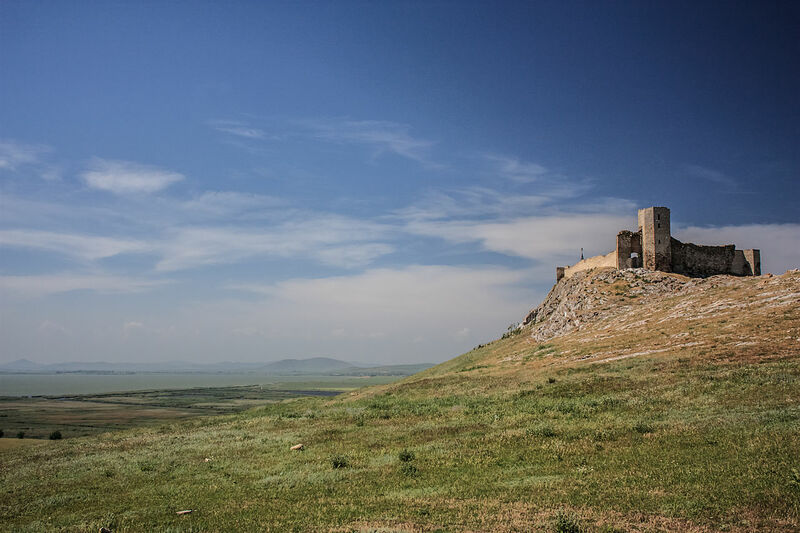 Today, you cycle a loop through a gently rolling landscape to the Orthodox nunnery, Celic Dere, the biggest convent of the Dobrogea territory, rich in history and containing meaningful religious relics. 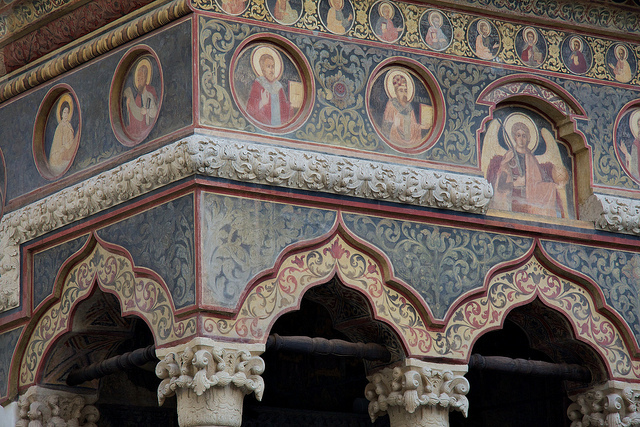 One of the most important icons is the one representing Jesus Christ, brought to the convent around 1806. 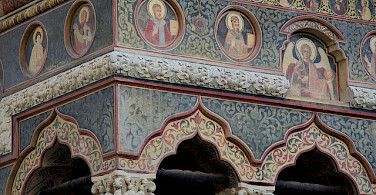 It can be seen in the Chapel Church and bears the name of “The icon that cleans itself” because at one point the icon was blackened by the passing of time but then, as a miracle, the Savior’s face lightened. The legend says that the icon was brought by a soldier. He told the monks that even though it looked soiled, one day it would clean itself, and the eyes of Christ would open. After almost 200 years from that day, more than half of this icon is now lightened. 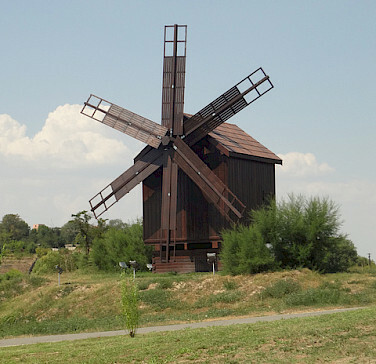 The romantic Abbey of Saon with its distinctive windmill is located amidst vineyards right on the bank of the Danube. Near parques from a ridge, you will enjoy a fantastic view over the extensive, green floodplain directly on the border to the Ukraine. 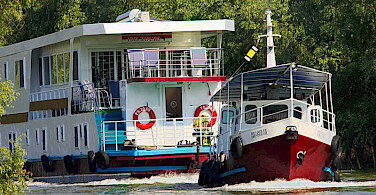 Transfer back to Tulcea. 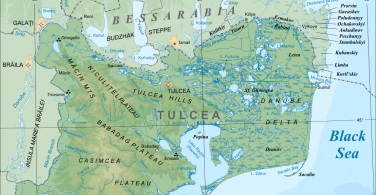 Overnight in the Tulcea 4* guesthouse. Today, the tour begins by bus to Ceamurlia de Jos. 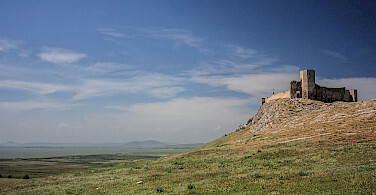 The nature reserve of Cape Dolosman with the Greek-Roman excavations of Argamum seperates the Delta lakes Golovita and Razim. 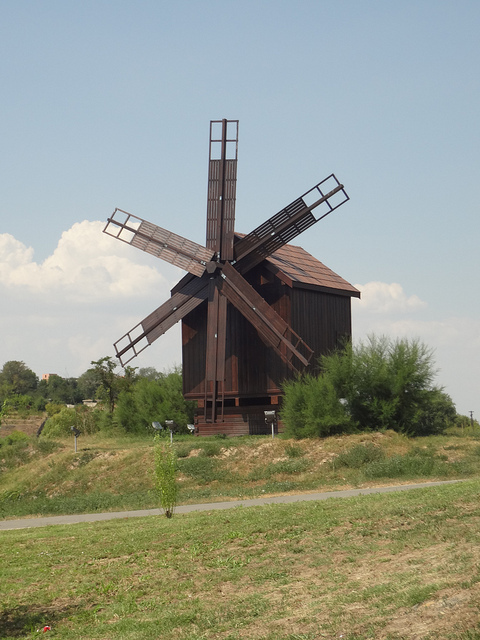 By bike you reach the medieval fortress of Enisala, which is located high over the Danube. Here you will enjoy the breathtaking view over the Lagoon Razim. Overnight in the guesthouse in Tulcea. After breakfast transfer by bus back to the airport Otopeni/Bucharest; approximate arrival is 2 PM. Please keep this in mind when booking return flights! We recommend that you book flights after 4 PM. Possibility of additional nights in Tulcea or Bucharest. Looking for more? View all of our featured bike and boat tours, or our full list of bike trips. Most Memorable Part? Seeing a sea otter cross over the track 10 metres in front of me. The barge accommodation and the staff are fabulous. Guides were fantastic. Everyone aims to please. Food is plentiful. We didn't see many birds but wind and weather are not controllable. I would have liked more biking and less on rocky paths. The days riding on roads through villages were great but the dike path not so good. I would travel with this company again for sure.